During the early experimental years of mezzotint, the artist Sir Peter Lely was London's leading painter, working in a court-portrait style which set the fashion for half a century. 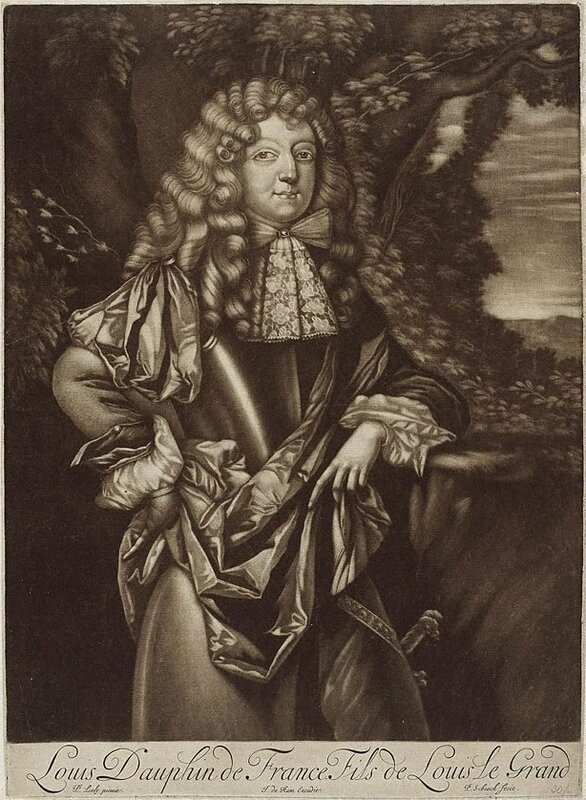 Lely's reputation was further enhanced by the mezzotints made after his works by the hugely prolific printmaker, Pieter Schenck. The sitter depicted here was the eldest son of Louis XIV and his only legitimate child to live to adulthood. Known as the Grand Dauphin, he predeceased Louis XIV in 1711.